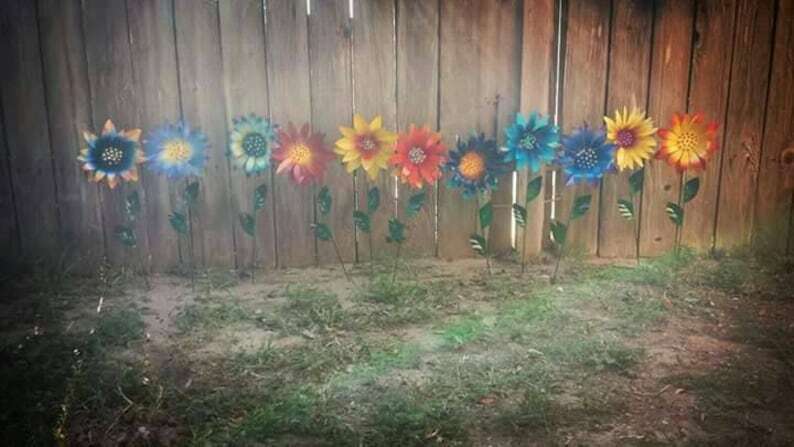 This listing features examples of the pretty Garden Stakes I make in almost every color with my new thicker metal. These are custom made to order! Pick any color you like! Every flower I make is different! Not a single flower will ever be the same! 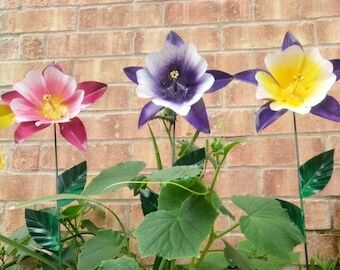 If your looking for something unique to add to your garden, these are perfect for you! I can guarantee you'll be the only one that has them! The flower is about 8 inches in diameter. 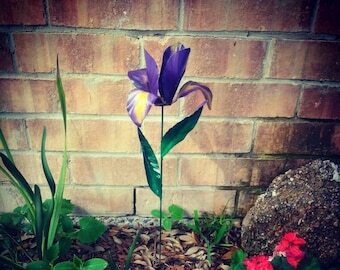 The garden stake stands about 22 inches tall from bottom of stake to the top of the flower. This garden stake does great in the heat, rain, and snow. These are the coolest!!! Quick ship. Easy!!!! Love them. Spring can't come soon enough.